Some lovely stuff here gents. 2. The Seibert Emoscop doubles as a booster for other monocular and binoculars. 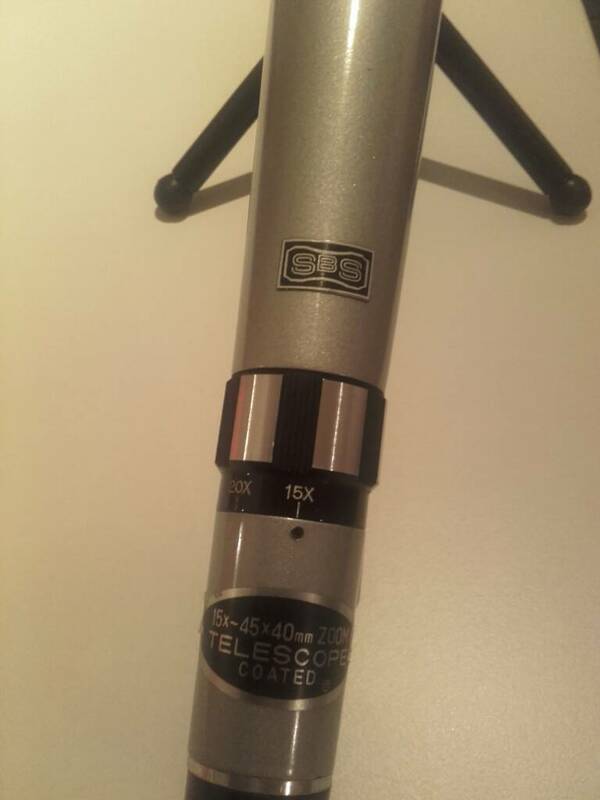 2.5x15 it is, so it boosts from 8x to 20x, from 10x to 25x, from 12x to 30x and from 18x to 45x. You need a tripod to use those magnifications. Nowhere you may find that information, I just discovered that myself, by experimenting. I am thrilled, because the Zeiss 3x12 booster shown below costs 400€ to do the same thing and much less other things than the Emoscop. 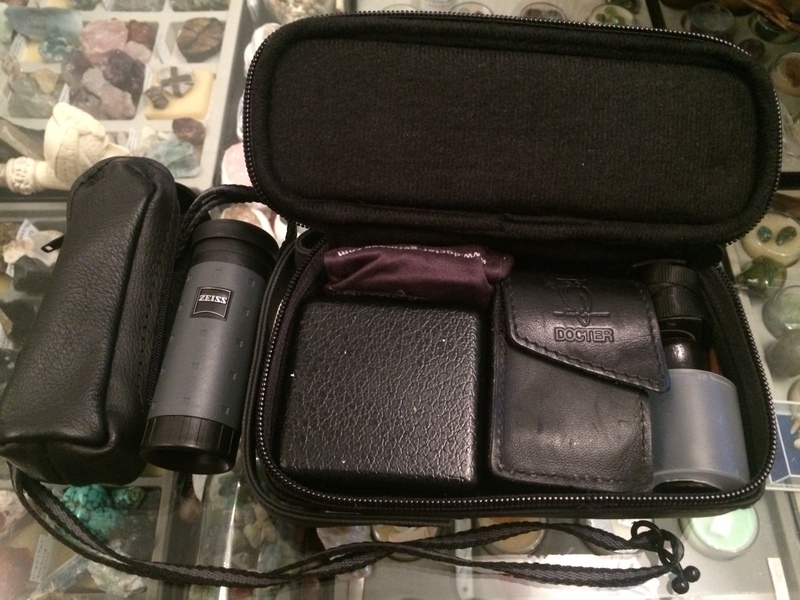 What would it do to my ×45 Monocular? 112.5x, too much for the atmosphere limit of ~50-60x. Your monocular is close to the limit, no booster needed. Picked it up recently at an optician's closing sale at 90% discount. A picture will be appreciated. Will do when I get home! Comes with original box and carrying case. Sadly without the original tripod. 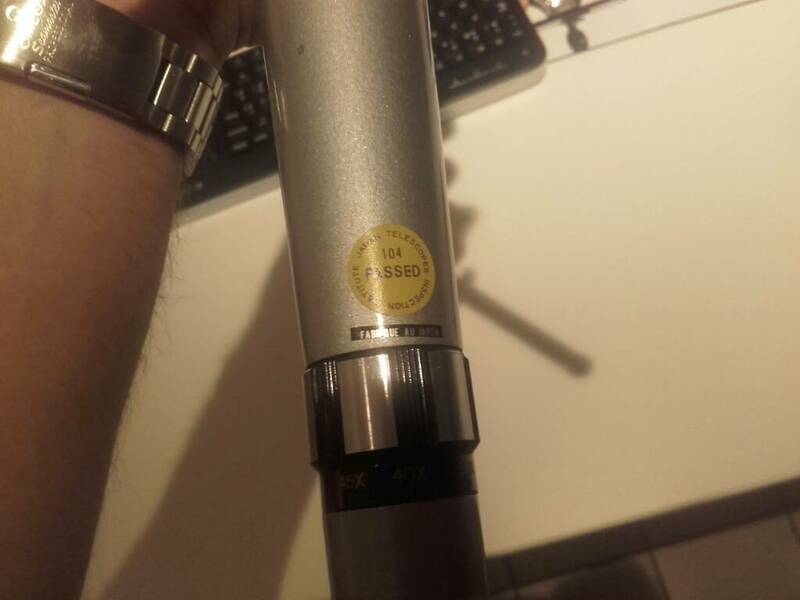 The pricetag is still on the box, but I removed it from the telescope. It was €100 back in 1999-2000 but never got sold. Nice! That’s like a pirate monocular or spotting scope. 45x is too much for 40mm, I suggest you stick to 15x most of the time and go up to 20-25x during day and 30-40x at night. Mine is 8-24x40. 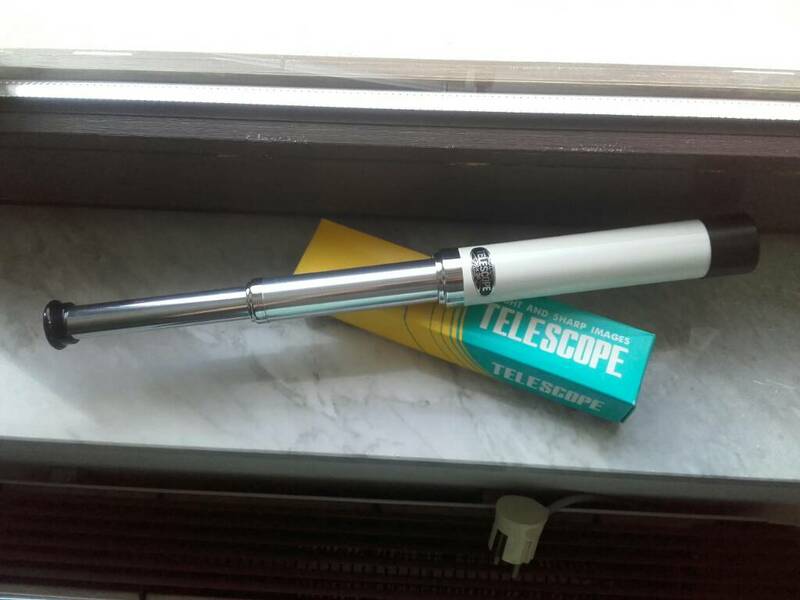 Spotted the exact same telescope at a flea market today. What does it say on the sticker? Oh! SBS are Japanese rebranded optics in France. Now they are selling Vixen Optics. This comes from the ‘80s or ‘90s perhaps. It says “Coated”, today’s standard is Fully Multicoated. Can you measure the eye relief and apparent field of view, approximately? Japanese Optics for 10€ is a steal. So, it has a moving Smythe lens inside. 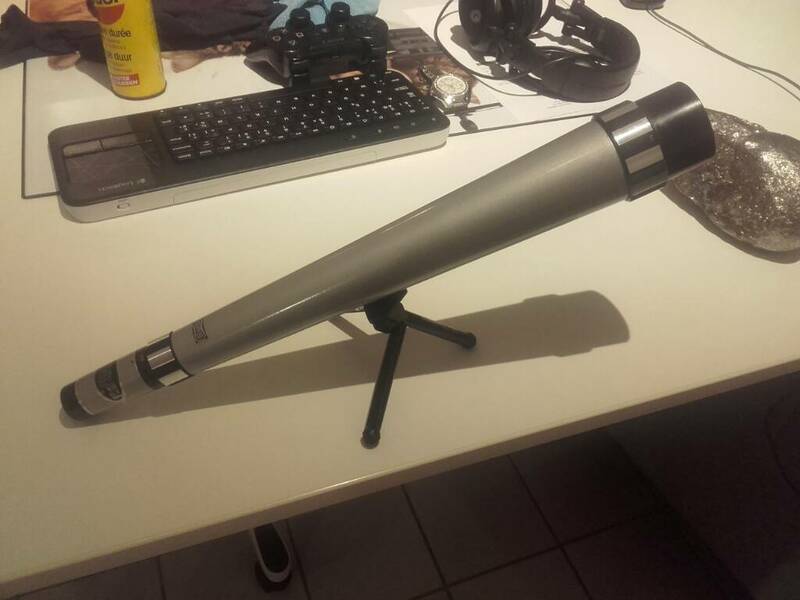 The same optician also sold me this collapsable 30x30 telescope. The smaller lens shows in the fact that images appear darker through this one compared to the zoomable telescope. Getting an image sharp is done by altering the extension (distance between both lenses). Made in Japan, costed €10 as well. Fun fact: the collapsable one joined me on my trip to normandy and worked great in the sunny outdoors during hikes along beaches and grasslands. They are overpowered, so they produce a small exit pupil of 1mm or below. That means the image is dark, the contrast is low, vibrations are great and you see floaters from your eyes. The zoomable at 15x gives an ep of 2.67mm and that's adequate . You lucky people of Central Europe, I always loved your flea markets. I've been in Adwerpen, Amsterdam, Copenhagen, Berlin etc, but being able to visit them weekly or daily gives you more opportunities..
Like nearly never a SAK. Here it is, in the middle. Zeiss Conquest Mono 6x18 T* with Schmidt Pechan prism, 30cm Macro (9x) and 6.84* FOV. Much better eye relief all than the rest and easiest to focus (still, both hands but one hand is feasible with training). Perhaps that will be my daily helper from now on. I'll take a new family photo with all handheld monoculars soon. Here they are. It’s crazy how small the Docter 8x21 is (a 100 years old design) and even crazier how small the Seibert (a 60 years old design). The Zeiss has the best eyepiece and coatings, the notorius Phantom*. It’s finally a BT*P* model. The casing is fiberglass and plastic, so it looks like a toy (to the effect add the “Design Selection” looks of the ‘90s, it’s like the “Dynasty” culture of Optics). But this makes it light. The draw tube design makes it the easiest to use. It has the best leather case I have seen, second place goes to Docter (it reminds the leather pouch of Wenger SAKs). Seibert is leather too, the others faux. The Opticron (Japan) is very well designed and built. It does the job but in a slightly darker way than the German pieces. I’ll keep it in a car. In the second photo we see the Macro configuration. 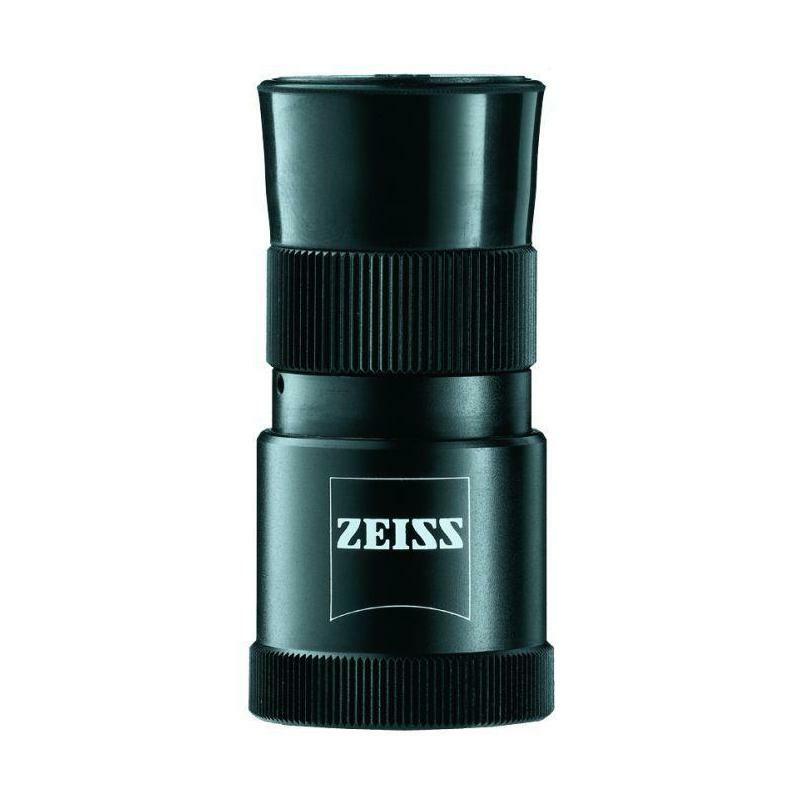 So, Zeiss and Opticron do the same job exactly, but Zeiss is better in every aspect, not much but it is. Docter does the same in its special way and Seibert is a miracle of another kind, more a microscope than a telescope (but a perfect stealth focusing aid). All other monoculars that count are variations on these designs (the most indigenous is the Minox Macroscope). Now, should I EDC the Zeiss or the Docter? I just carry them both. The Opticron stays in the car, the Docter, Seibert and Belomo form a “microscopy” package and the more convenient Zeiss stays reachable in my backpack beside the rest. It’s equal to the Docter and marginally better than the Opticron (costing more than the two combined), but it has the better eye relief (I can use it with eyeglasses) and the faster macro focusing. The Docter diopter elements can be used with the Zeiss too, although they don’t click in place. My monocular - a Vortex 8 power. It is always in my pack on my mountain bike. It is clearer than my binocular. I just wanted to say that you just got me to pick an Emoscop up, the more recent production I believe.